Looking for something to do with your love this winter? 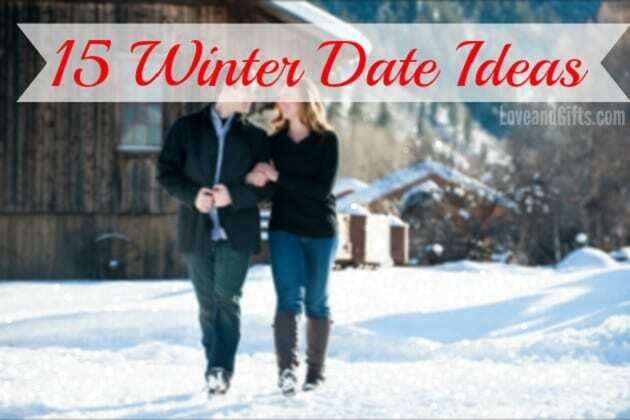 We’ve got you covered with these 15 wonderful winter date ideas for couples extremely in love who might be on a tight budget! There’s something for every type of couple on our date idea list, so pick your favourite one(s) and impress your sweetie! 1. Ice Skating – Bundle up, hold hands and skate around an ice rink for a romantic evening. 2. Hit the Slopes – Plan a ski outing or snowboarding adventure together or with friends. 3. Attend a Hockey Game – Pick up a few tickets to watch a local hockey team. They’re usually relatively affordable and the games are really fun and high energy. 4. Build a Snowman Together – After a snowfall, spend an afternoon building a snowman and then take pictures of it for Instagram! 5. Take a Ride in a Horse Carriage – Book a horse drawn carriage ride through the park or city for a romantic night outdoors. 6. Go for a Dip in the Hot Springs – Visit a hot spring if there is one located nearby. 7. Sledding – Grab your sled and find a good spot to put it to good use. 8. Look at Christmas Lights – Cruise around and admire the Christmas light displays put on by neighbours and each pick out a few of your favourites displays. 9. Holiday Parties – Parties and gatherings are plentiful during the holiday season. Use these events to spend a little time together while enjoying company of the ones you love. 10. Volunteer Together – volunteer for a food, clothing or toy drive to live in the spirit of the season and help others while spending quality time together. 11. Indulge in the Arts – attend a holiday themed concert, a play or a ballet such as The Nutcracker. 12. Fireplace S’mores – Light a fire in the fireplace or use The Indoor Flameless Marshmallow Roaster and roast some marshmallows together to make delicious goodies like s’mores. Everything you need can come directly at your door with Hershey’s S’mores Kit ! 13. Snow Day Movie Marathon – If the weather is extra chilly or the snow is extra heavy one day, stay in, snuggle up and have a movie or tv show marathon with your cuddle buddy. 14. Have a Snowball Fight – Throw on your coats and head outside for a playfully fun snowball fight game with your significant other. 15. Romantic Bubble Bath – Create a frothy yummy smelling bubble bath for you to both slip in and relax. We love the scents in the Philosophy Amazing Grace Holiday Collection for this time of year!